ANPHA HOLDINGS is a regional leading investment, development and international trading enterprise. 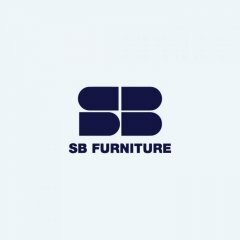 Its investment portfolio is widely diversified from real estate development, management & planning to luxury product trading, luxury interior design & fit-out, and international logistic. 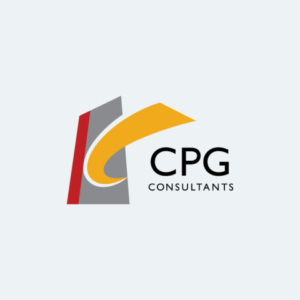 The company leverages its significant talent base, design and development capabilities, active capital management strategies, extensive market network and operational capabilities to develop high-quality real estate products, to select best quality products and to offer outstanding services. 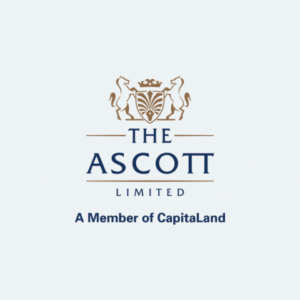 Its diversified global investment and consulting portfolio include integrated developments, shopping malls, serviced residences, offices and homes. Its two core markets are Vietnam, Malaysia and Myanmar, which have been identified as promising growth markets. 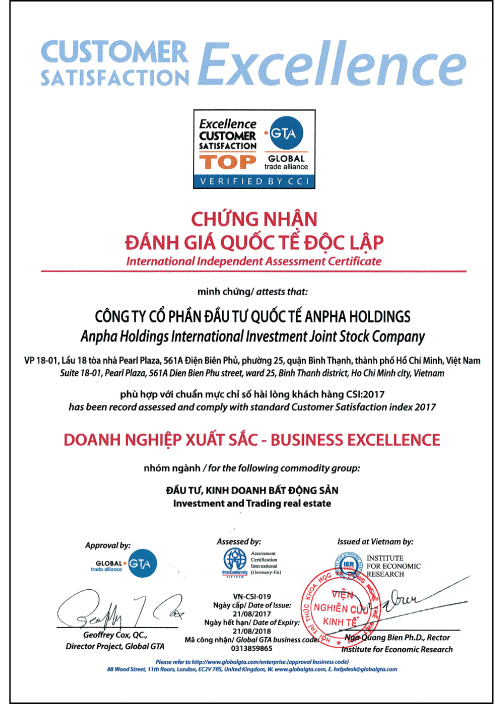 Anpha Holdings also established trading networks and partners in Singapore, Thailand, France, USA, Australia and China. 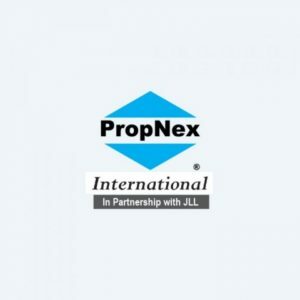 The company also has one of the largest real estate sales team in Vietnam and partnering with regional largest real estate agency Propnex International, a Singapore based company associated with UK based Jones Lang Lasalle (JLL), to offer world-class home ownership opportunity in many countries. 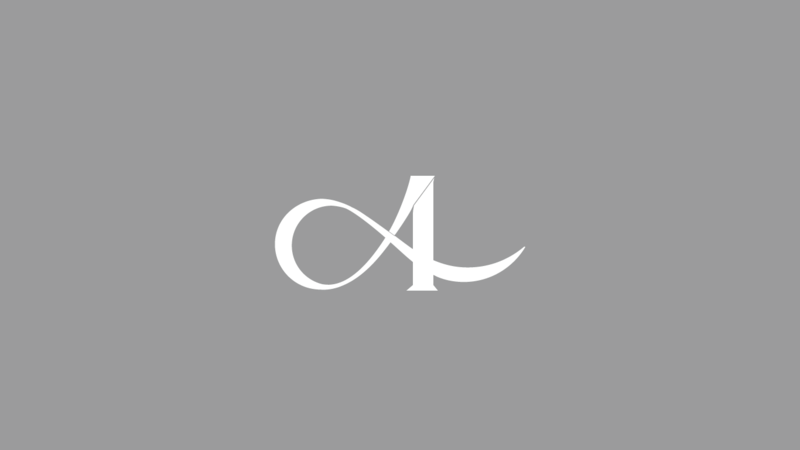 AnphaDNA comprising Anpha Holdings’s Vision, Mission, Core Values and Credo, provides a shared vision of Anpha Holdings is, what it wants to be and where it wants to go. 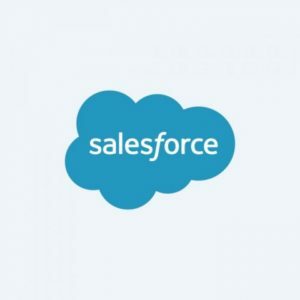 AnphaDNA is also crucial in differentiating the company from competition and bringing it to the next level of growth. 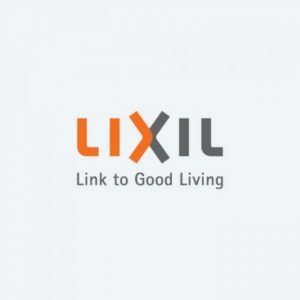 To be a leading regional enterprise that enriches people and communities through high quality real-estate & lifestyle products and services. 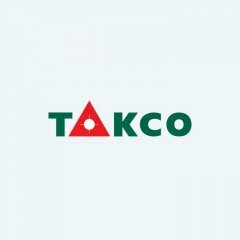 Customers: We upgrade life quality by creating great customer value and experiences through high-quality products and services. People: We nurture our talents and develop high-performing people and teams through rewarding opportunities. Stakeholders: We deliver sustainable shareholder returns and build a strong global network of partners. Communities: We care for the social development of communities. 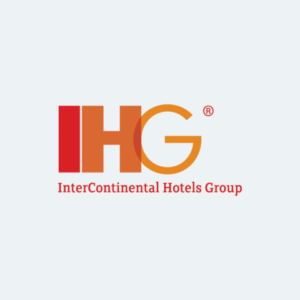 We constantly innovate to enhance value and stay advanced. 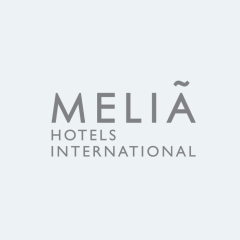 We embrace the highest standards of integrity. We have the courage to do what is right, and earn the trust of all our stakeholders. We make ourselves outstanding by delivering our promises through punctual actions. We believe in mutual trust and respect at all levels to listen and accommodate to our stakeholders’ needs. Belinda Choi served Singapore Mayor’s Office as Dy. 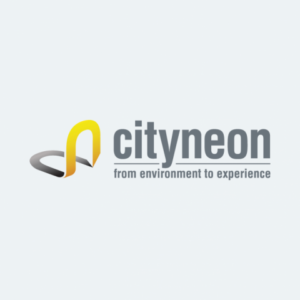 General Manager for NECD Council. In her special role at Mayor's Office, she developed a series of successful engagement program for the Mayor and other Singapore political leaders. Belinda spearheaded the Singapore nationwide Community Arts Engagement. She was also Organizing Committee of the Singapore Youth Olympics Games in 2009, and the World 1st City Formula One Race in 2007. Belinda Choi pioneers in promoting art in Singapore. She supported various renowned Singaporean artists with her management skills and has successfully brought them to new heights in their artistic careers. Belinda was graduated from National University of Singapore, specializing in Mathematics and Sociology. She was Singapore Tourism Board's Scholar for Master Degree from Cornell University, specializing in Hospitality Management. 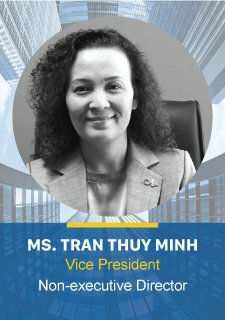 Ms. Tran Thuy Minh is Chief Executive Officer of Anpha Holdings and Anpha Corp. She is also Chairwoman and Board Member of many companies. Ms. Tran Thuy Minh is a veteran in the civil aviation industry with more than 30 years of experience. She held several senior positions in Vietnam’s Civil Aviation Authority and Ministry of Transportation. She is elite negotiator who led to the success of Vietnam Airlines and Aviation companies. Ms. Tran Thuy Minh was known to initiate the establishment of Southern Airports Authority and International Air Transport Association (IATA) training in Vietnam. 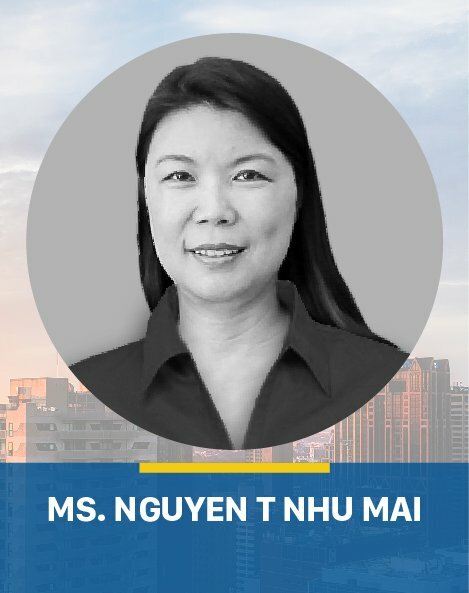 She was Director of Personnel and Training, Planning and Investment Director, Senior Legal Manager in Southern Airport Corporation, the developer and owner of all airports in southern of Vietnam before she assumed the position of Deputy Director of Enterprise Management Department – Ministry of Transportation. Ms. Tran Thuy Minh obtained Dual Bachelor Degree in Law and Procurator – University of Law (Ho Chi Minh City) and Procuratorial University (Hanoi). She also obtained Master of Business Administration in Meiho University (Taiwan). She is trained and certified by several professional international organizations. Mr. Duc Roger is Vice President of Anpha Corp, Deputy Chairman of Anpha Consulting. 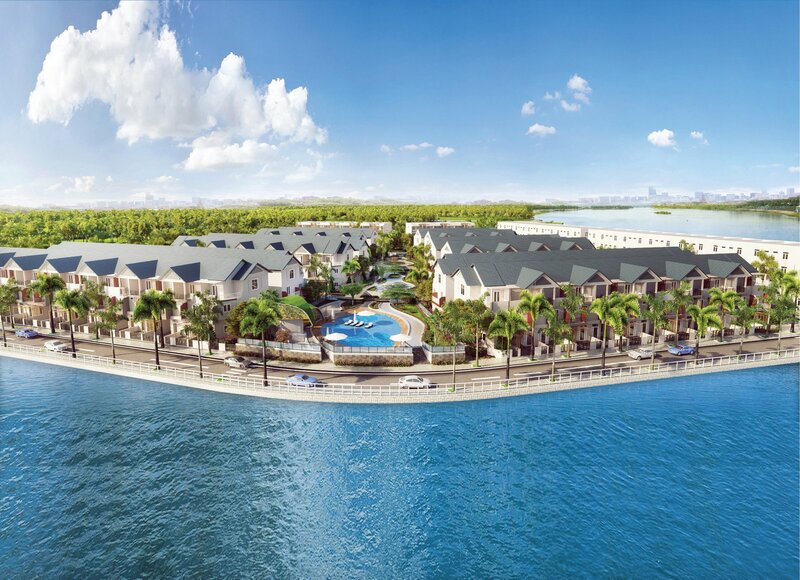 He is in charge of Real estate Development and International Real estate Trading. 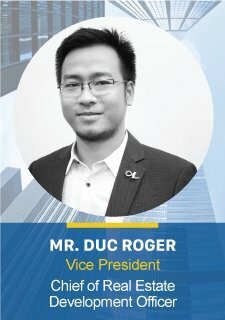 Mr. Duc Roger is Founder / Managing Director of 4Dimensions, an innovative organization leading in Real estate 3D Computer Graphic and Interactive Web-based solutions. Integrated real-time high-quality 3D Computer Graphic on PC & Web-based environment is one of his remarkable success. Mr. Duc Roger held Senior positions in several international and Vietnam enterprises. 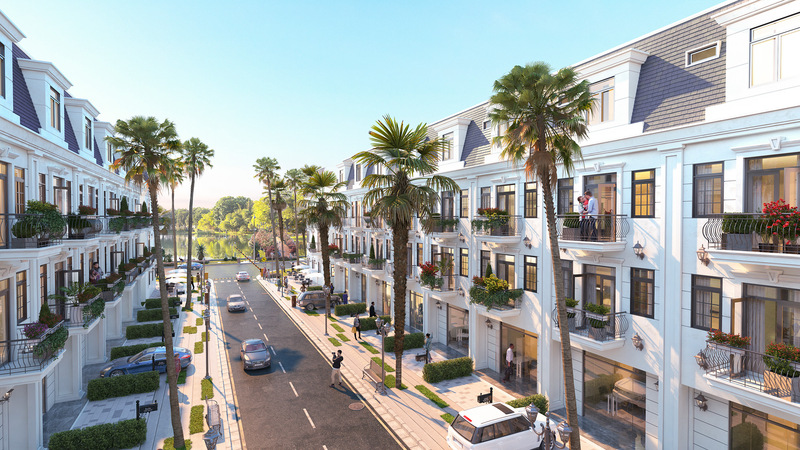 He was Development Vice President of Phu Hoang Anh JSC - owner of 1,220 units of a condominium in Saigon South township, Product Development Director of MIK Corporation, Vice President of Prive - an affiliate of BTA Group who owns award-winning Diamond Island Condominium. He was also R & D and Urban & Architecture Management Director of Sacomreal, Senior Product Manager of Lafarge Vietnam. Mr. Duc Roger obtained Bachelor Degree in Architecture from HCMC Architecture University. He is currently pursuing Master of Management in International Consulting (EMBA-MCI) by University of Applied Sciences and Arts Northwestern Switzerland (FHNW). He also attended Project Management short-course by Talent-Link Institute, CEO short-course by PACE Institute. He is Certified Real estate Broker & Valuer. Mr. Duc Roger held Senior positions in several international and Vietnam enterprises. 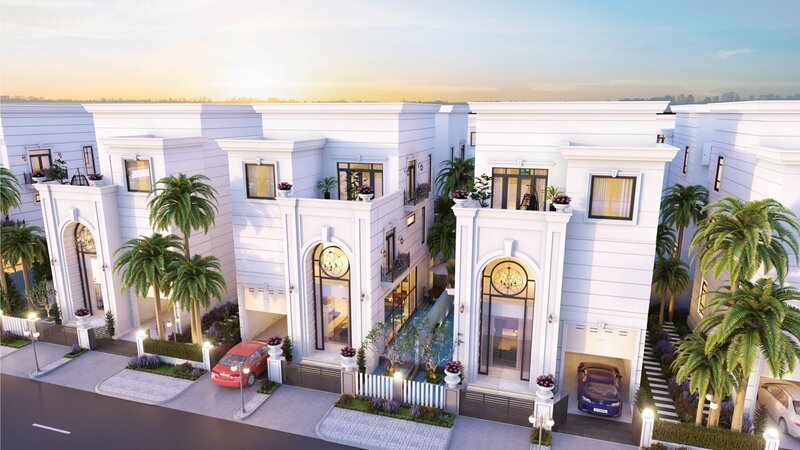 He was Development Vice President of Phu Hoang Anh JSC – owner of 1,220 units of a condominium in Saigon South township, Product Development Director of MIK Corporation, Vice President of Prive – an affiliate of BTA Group who owns award-winning Diamond Island Condominium. He was also R & D and Urban & Architecture Management Director of Sacomreal, Senior Product Manager of Lafarge Vietnam. Belinda Choi served Singapore Mayor’s Office as Dy. General Manager for NECD Council. In her special role at Mayor’s Office, she developed a series of successful engagement program for the Mayor and other Singapore political leaders. Belinda spearheaded the Singapore nationwide Community Arts Engagement. She was also Organizing Committee of the Singapore Youth Olympics Games in 2009, and the World 1st City Formula One Race in 2007. Belinda Choi pioneers in promoting art in Singapore. She supported various renowned Singaporean artists with her management skills and has successfully brought them to new heights in their artistic careers. 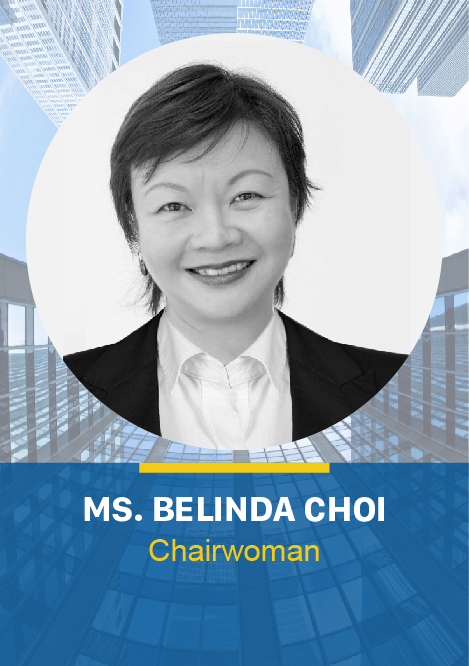 Belinda was graduated from National University of Singapore, specializing in Mathematics and Sociology. She was Singapore Tourism Board’s Scholar for Master Degree from Cornell University, specializing in Hospitality Management. 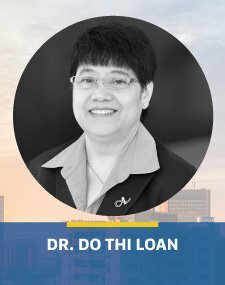 Dr. Do Thi Loan is a member of BOD and Chief Strategic Officer of Anpha Corp, Chief Executive Officer of Anpha Consulting. 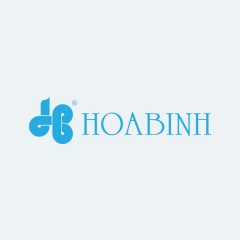 Dr. Loan is Vice President of Ho Chi Minh City Real Estate Association (HoREA). She is also President and General Director of Kelsey Vietnam Co., Ltd.
With more than 20 years experience in real estate industry, Dr. Loan held several Senior positions. She was Senior Advisor for the Board of Directors of Phuc Khang Investment and Construction Corporation, CEO of Phu Hoang Anh Joint Stock Company - An Affiliate Company of MIK Corporation and Strategic Advisor of MIK Group. She was also Chief Officer of Ho Chi Minh City Steering Committee’s Office of Real Estate Market Development and Administration, Secretary-General, Member in the Standing Committee, Permanent Vice President of HoREA. Dr. Do Thi Loan obtained Ph.D. Degree in Regional Geography from in Roland Eotvos University of Budapest, Hungary, with her major in Urban Planning and Management. 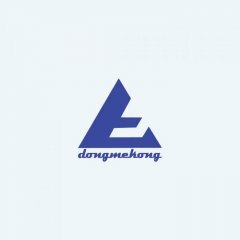 We are currently updating this page. Thank you for your visiting. Prior to founding Lawlink Vietnam Law Firm, Ms. 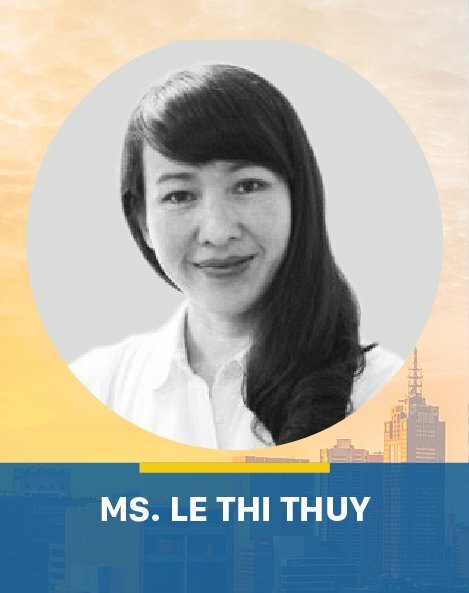 Le Thi Thuy worked as Group General Counsel in several multi-international enterprises in Vietnam and Asia region, and spent 6 years in the two leading international law firms in Vietnam and Finland, while there she was counsel to large companies, investment funds and financial institutions providing M&A and corporate restructuring service and representing them in complex litigations. Earlier, at the very young age, she had a distinguished career in Vietnamese Government as an associate director of DONRE District 9, Hochiminh City, and used to be a permanent member of several board of advisors and councils advising local government on resolving disputes, claims and demonstration in many key real estate development and infrastructure projects in Southern, Vietnam. She’s directly settled up hundreds of disputes in the field of land acquisitions and clearance. Thuy earned her Master of Laws (LLM) at the Law School, Helsinki, a Bachelor of Laws (LLB) from University of Law, Ho Chi Minh City, Vietnam. In addition to her legal background, Thuy has also studied and achieved Master of Business Administration (MBA) from University of Pennsylvania USA. 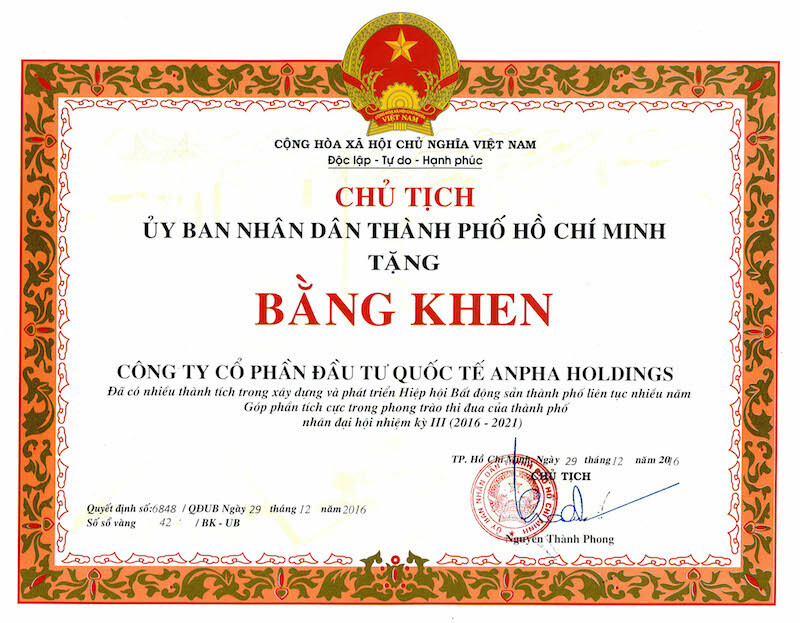 Mr. Tran Viet Tuan is a major shareholder and Non-executive Director of Anpha Holdings and Anpha Corp. He is represented Anpha Corp as Chairman of Anpha Consulting and Anpha Tradings. He is also Vice Chairman / CEO of CIBC Consultancy & International Business Corporation, a fast-growing affiliate of Anpha Corp specializing in serviced office leasing and trading business. 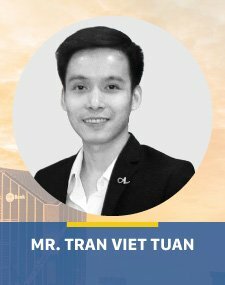 Mr. Tran Viet Tuan is also a major shareholder and Non-executive Director of Hoa Binh (Malaysia) Sdn Bhd – a subsidiary of Vietnam’s largest private construction company, Hoa Binh Real-estate and Construction Corporation (Listed: HBC). 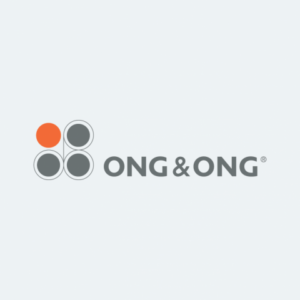 Hoa Binh (Malaysia) Sdn Bhd successfully completed 3 mixed-development projects in Kuala Lumpur under-investment of UOA Group. 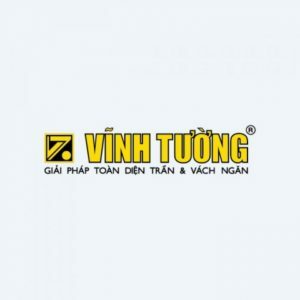 Mr. Tran Viet Tuan is a good example of not highly educated but hardworking person with good business sense. He started his career as a Chef before entering the retail industry as Outlet manager of a locally-grown fashion brand. 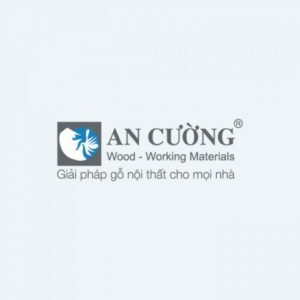 He later assumed the position as Assistant to Chairman of Phu Hoang Anh Pte. 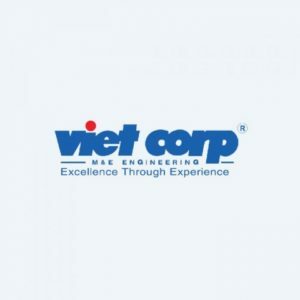 Ltd. and Duc Viet Pte. 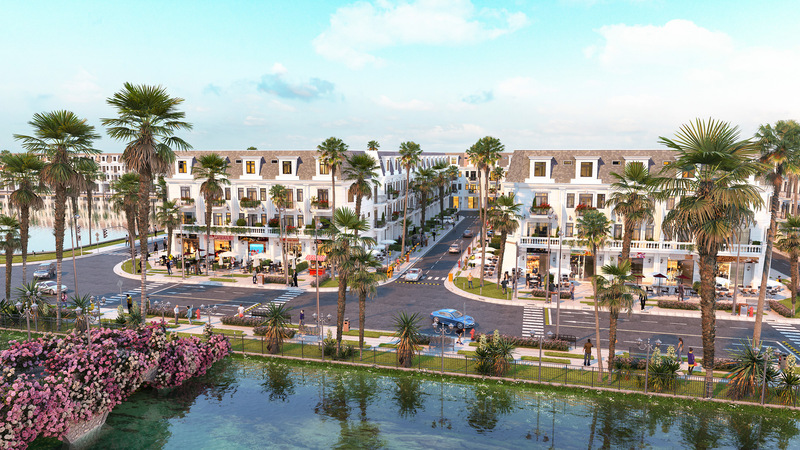 Ltd., two developers of market’s well-known 1200-unit apartment The Park Residence project and Sol Beach by Melia Phu Quoc Resort. 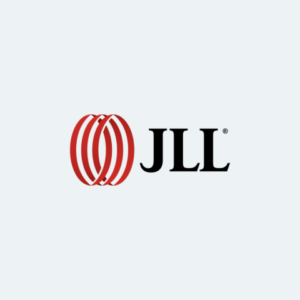 With more than 20 years experience in real estate industry, Dr. Loan held several Senior positions. She was Senior Advisor for the Board of Directors of Phuc Khang Investment and Construction Corporation, CEO of Phu Hoang Anh Joint Stock Company – An Affiliate Company of MIK Corporation and Strategic Advisor of MIK Group. She was also Chief Officer of Ho Chi Minh City Steering Committee’s Office of Real Estate Market Development and Administration, Secretary-General, Member in the Standing Committee, Permanent Vice President of HoREA.